Drawing of the H.H. 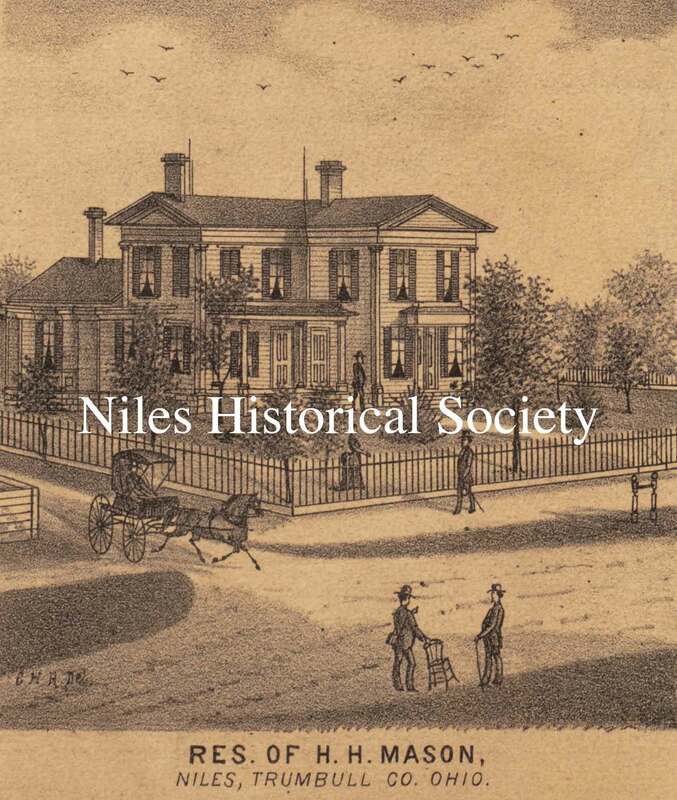 Mason residence taken from the 1874 Everts Trumbull Atlas. 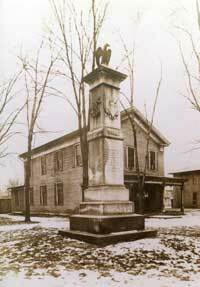 Ambrose Mason led the line of Masons here in 1835. 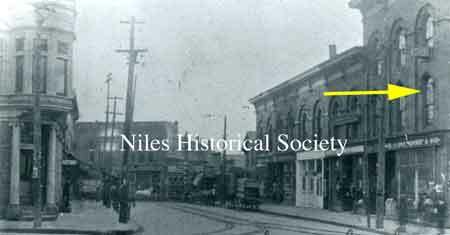 He started the first mercantile store with Josiah Robbins, who had married Mason’s daughter, Electa, after the death in 1843 of his first wife, Maria Heaton. 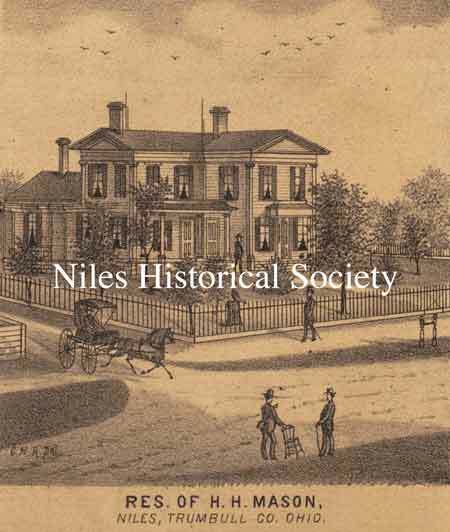 Maria Heaton was the daughter of James Heaton, founder of Niles, who built the first iron furnace in 1809. 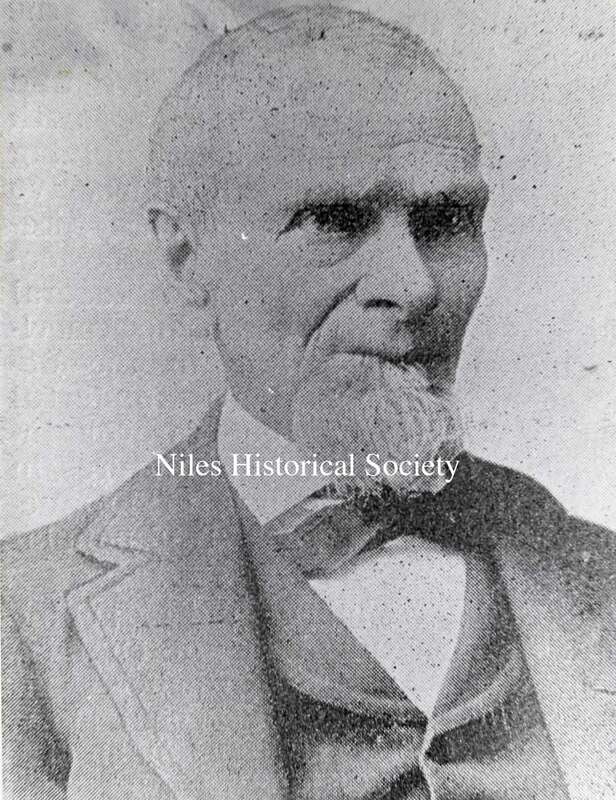 Judge Ambrose Mason in 1843 was chosen postmaster of Niles, being the only one considered for the position. Harry H. Mason, his distinguished son, was born in New York in 1819. 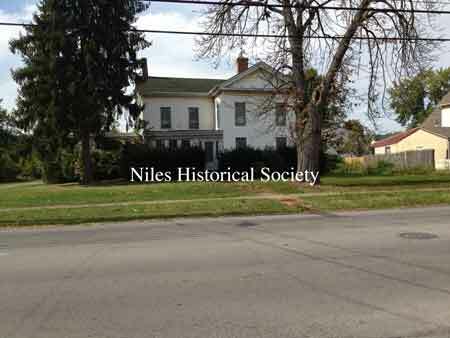 In 1842 he opened a store also, which served the Heatons, James Ward, William McKinley Sr. and others. He was also assistant postmaster. 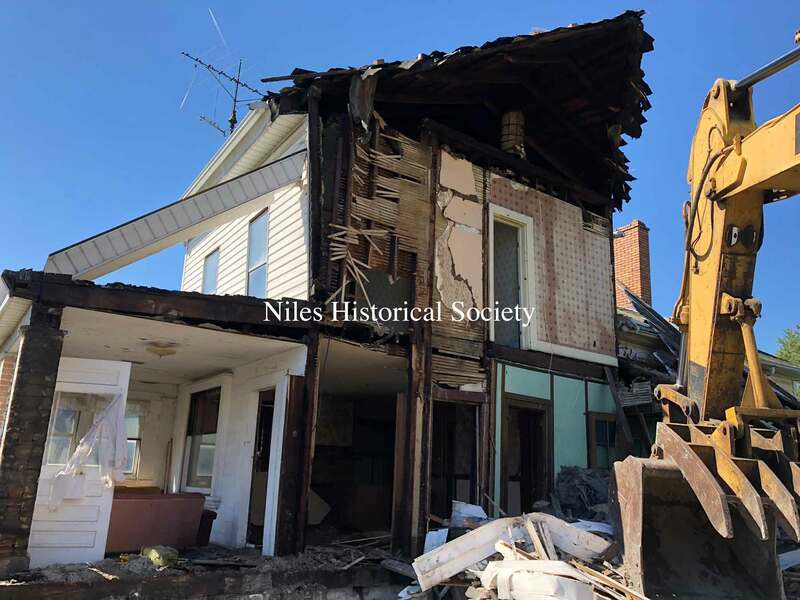 H. H. Mason(Henry) succeeded his father as Postmaster, was the first mayor elected after Niles was incorporated as a village in 1866, a downtown merchant and one of the builders of the Mason block at the southeast corner of Main and State streets(Built prior to 1882). 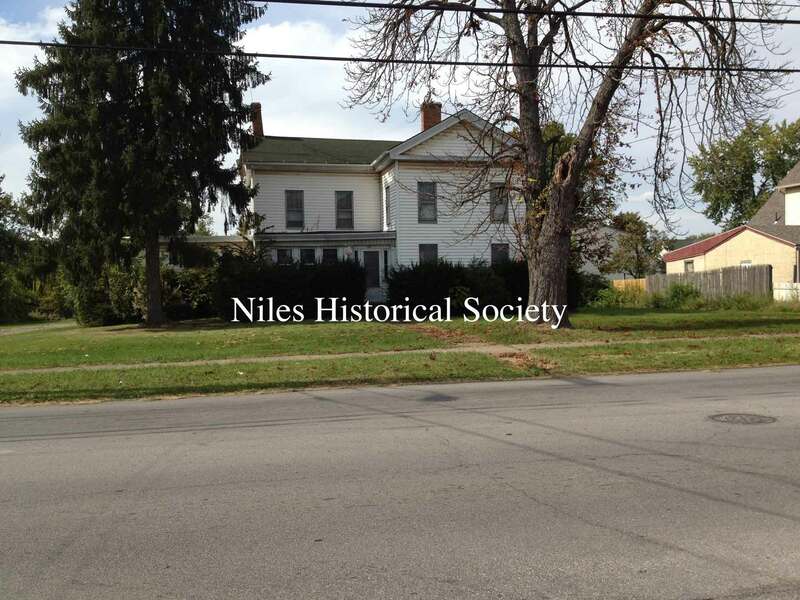 The residence of H. H. Mason was located on Vienna Avenue in Niles. Mason moved into this homestead in 1859. It was here that he held court and as Mayor of Niles, earned $100. a month. He was also president of the City National Bank which was founded in 1893. Two views of the H.H. 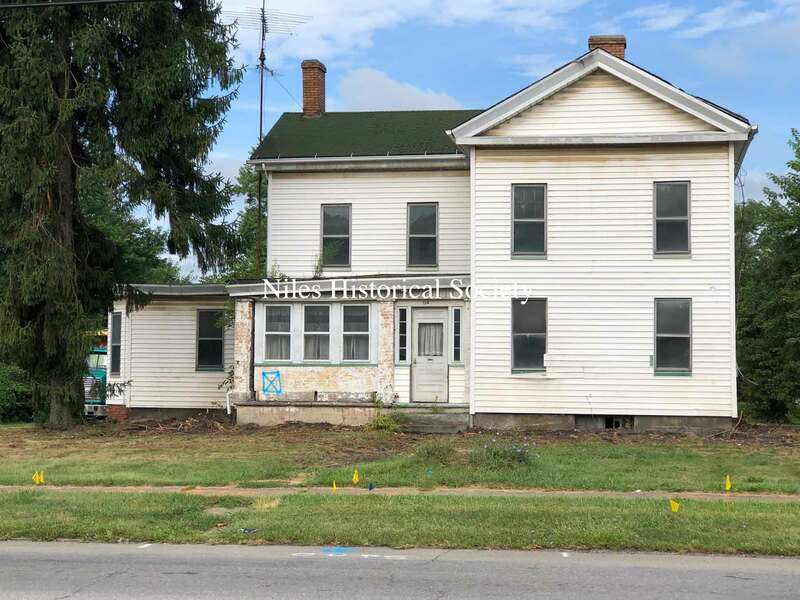 Mason residence as it appeared in the Fall of 2018. The left view shows the building with tress and shrubbery. 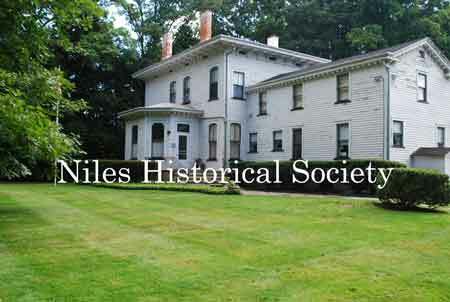 The right view shows the residence as it is being prepared for demolition in the Fall of 2018. Mason residence shown as it is being demolished. The barrel in the attic would have water pumped up into it to supply water for the shower on the second floor. 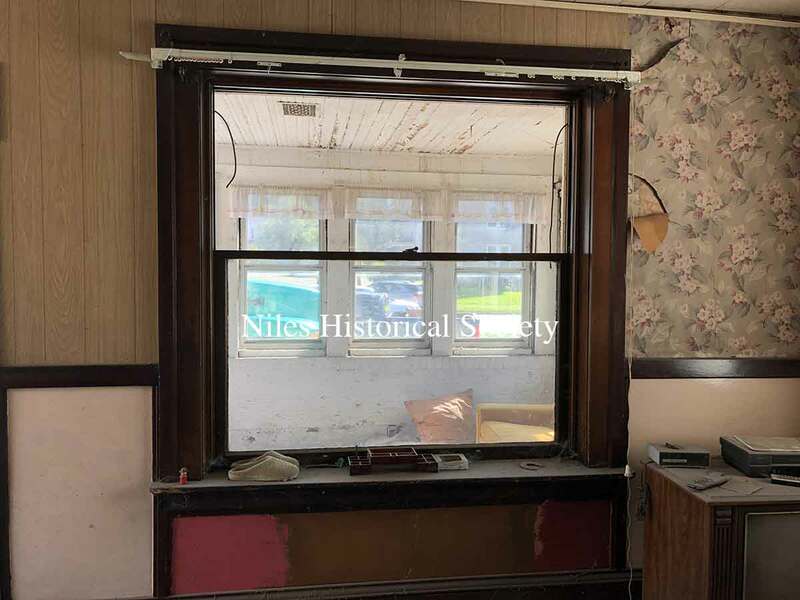 Much of the interior matrials of the residence were salvaged for sale: fireplace mantel, wood beams, wainscoating, granite steps, old glass. A close-up view of the granite steps on the front porch. These white oak wooden pins were used to lock the two parts of a support beam together as shown in image on the right.The mortise would be hand-drilled with the tenon being inserted into the mortise opening. 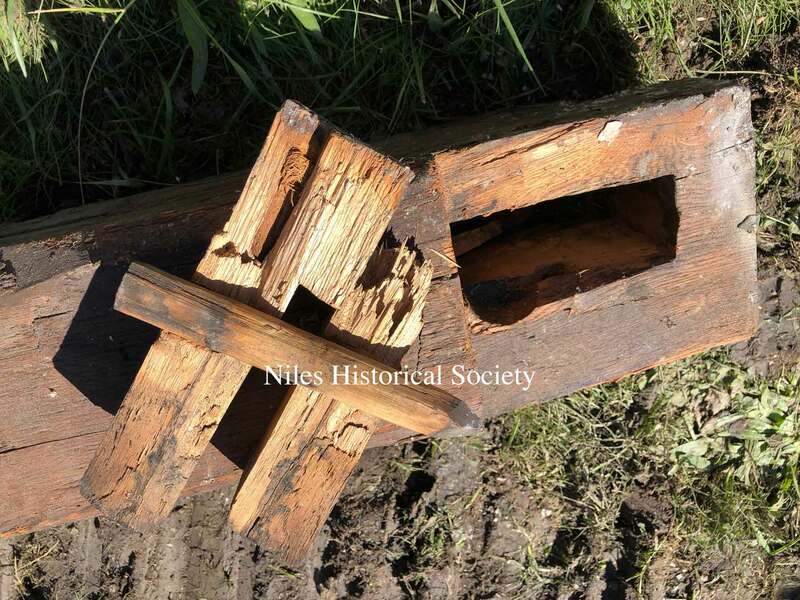 A hole would be drilled for the pin which would be pounded through the mortise and tenon, thereby locking the two beams together. The Mason block or building(built prior to 1882) was located at the southeast corner of Main and Mill(State) Streets. In this early 1900s photograph, Sol Lowendorf’s clothing store occupies the ground level. All the buildings pictured were demolished during urban renewal in 1976. The Safety-Service Complex, which houses the Fire, Police, and Municipal Court is on this location today(2019) and opened in April 1977. The U.S. Post Office opened in 1842 and was located on Furnace Street(State Street) near the curve. 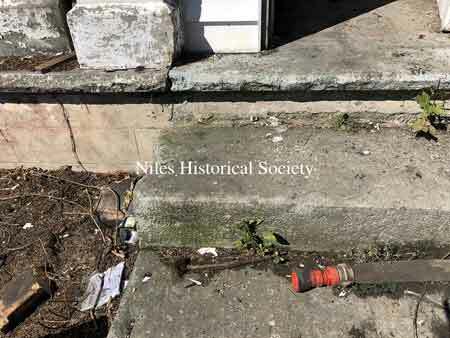 Until 1834 the settlement was appropriately called “Heaton’s Furnace”, but James Heaton gave it a new name “Nilestown” in honor of Hezekiah Niles, editor of the Niles Register, a Baltimore paper, who’s Whig (early political party) principles Heaton greatly admired. 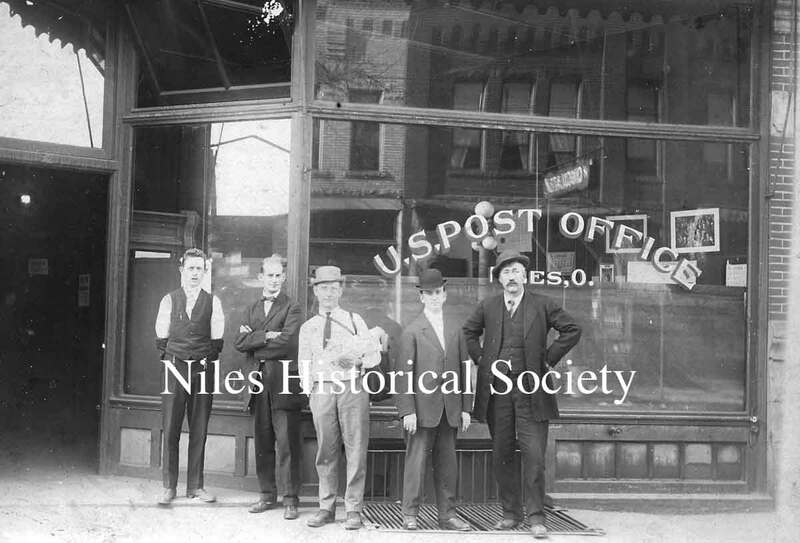 Frank Mears, Pete McDonald, and Adam Fischer are shown in the photograph.Adam Fischer built the Bert Street and Third Street Schools in 1905 as well as the City Building on State Street in 1927.